Students who have graduated from the REEES program have pursued a variety of post-graduate opportunities. Past students have attended prestigious graduate programs, received fellowships and grants, joined the Peace Corps, taught English as a second language, or worked for the United States government. 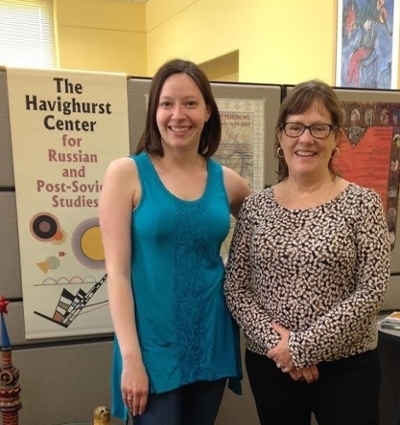 The Havighurst Center is establishing an extended alumni network to connect current and graduating students with alumni who are working in the field of their choice. Alumni are encouraged to complete our brief alumni survey so that we can share their stories and experiences. 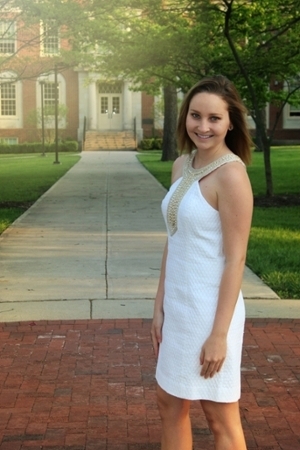 Valerie Pacer graduated from Miami University in 2009 with a bachelor's degree in Diplomacy & Foreign Affairs and Russian, Eastern European, & Eurasian Studies. 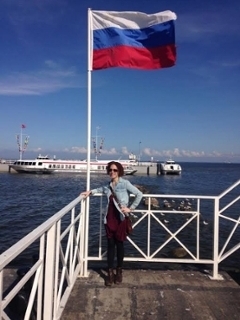 She then completed two internships, one with the Department of State and the other with the Arms Control Association before starting her graduate work at University College London's School of Slavonic and East European Studies. She finished her master's in Russian Studies in 2011 and her doctorate in International Relations in 2014. Valerie's doctoral research, which looked at the similarities and differences in the Euro-Atlantic security policies of Russian presidents Vladimir Putin and Dmitry Medvedev, served as the basis for her 2015 book published by Routledge (as part of the BASEES/Routledge Series on Russian and East European Studies), Russian Foreign Policy Under Dmitry Medvedev, 2008-2012. She is currently a NNSA Graduate Fellow working in the Department of State's Office of Strategic Stability and Deterrence in the Bureau of Arms Control, Verification and Compliance. I graduated from Miami in 2014 with degrees in Political Science and Russian Studies (history and politics tracks). During my time there, I studied with Dr. Karen Dawisha, as well as the rest of the Havighurst Center's phenomenal teaching staff. I also worked as a TA for Dr. Dawisha, and served as a Havighurst Junior Fellow. With the center's guidance and encouragement, I spent a year in St. Petersburg in 2012. My first semester was with the CIEE program, but my second semester was a direct enrollment at the European University of St. Petersburg (the better option, if you are interested). Between special seminars offered by Havighurst and my time at EUSP I was able to pursue deep independent research projects focusing on Russian foreign policy, and even the Russian space program — research I leveraged in early 2014 to join the staff of The Moscow Times. Before that, I interned at the American Foreign Policy Council in Washington, D.C., helping to track Russian defense industry and military developments. Shortly after my arrival in Moscow, the Ukraine crisis erupted and, well, the rest is history. 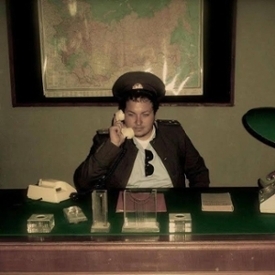 Since then, I've signed on as the freelance Moscow correspondent for Defense News, where I write regularly. My work has also appeared in The Telegraph, Russia Beyond The Headlines, and Russia Direct. I have also written analytical pieces for the American Foreign Policy Council and Institute of Modern Russia. If interested, you can find most of my stuff just by Googling Matthew Bodner. I graduated from Miami in May, 2014 with degrees in Global Politics and Diplomacy, and Russian, Eastern European and Eurasian Studies, earning a Junior Fellowship from the Havighurst Center in 2012. 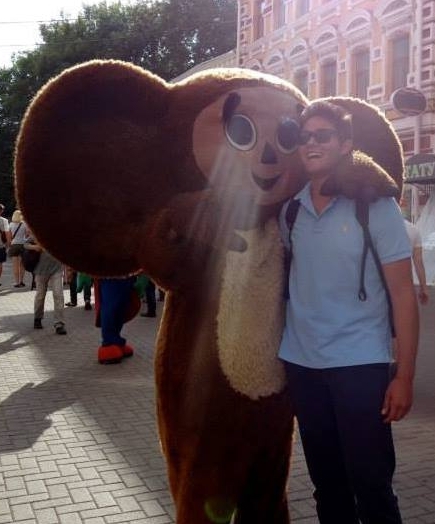 Following my studies at Miami, I set out to improve my Russian language skills, spending a summer in Kazan, Russia through the Critical Language Scholarship (CLS) Program, a year in Yekaterinburg, Russia teaching English, and then two months at Indiana University’s Summer Language Workshop through a Foreign Language and Area Studies Fellowship (FLAS). 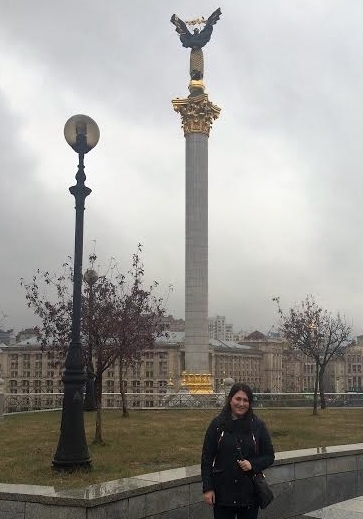 In October I arrived in Moscow, Russia to begin work on a Master’s degree in Applied Political Science at the Higher School of Economics (HSE) – thanks in no small part to financial aid provided by the Havighurst Center. I believe that my studies at HSE will afford me the best possible opportunity to develop my knowledge of politics and economics in the post-Soviet space, enhance my analytical skills, forge valuable contacts, and compete for prestigious internships – not to mention the prospect of mastering Russian, learning more about Russian culture and society in the process. In my free time, besides hanging out with Russian friends and other expats, I enjoy discovering Moscow, reading Russian literature, and traveling. Also, I’m a volunteer coach for a local American football team. Following graduation, I will seek a job in the private sector where I can apply the knowledge and skills I developed at Miami and HSE. I’m often reminded how lucky I was to have studied at the Havighurst Center with its rigorous curriculum and world-class faculty. I’m always happy to help fellow Miamians! Love and Honor! After Miami I enrolled in Harvard University's two year Master's degree program in Regional Studies: Russia, East Europe, & Central Asia. I received a FLAS scholarship, which paid for my first year of tuition along with a living stipend. Before I began graduate school I worked as a summer camp counselor for two weeks in Haining, China. There I worked with elementary and middle school children and helped them learn English through summer camp activities. 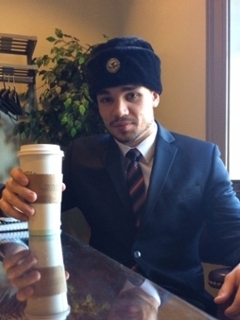 Jacob Hensh graduated in 2016 with a bachelor's degree in Political Science and Russian, East European and Eurasian Studies. He will be staying at Miami to complete a Master's Degree in Political Science, having begun a combined BA/MA program in 2015. He has accepted an assistantship with the Political Science department, and plans to continue his study of Russian language and culture through not only individual studies, but by giving several lecture on different aspects of Soviet and Russian culture in the introductory 254 class. After graduating from Miami University in Spring 2016, I moved to Washington, D.C. to begin my M.A. at Georgetown University in Eurasian, Russian, East European Studies in the Edmund A. Walsh School of Foreign Service. Who is Walter E. Havighurst? Want to share your story? Fill our our Alumni survey!